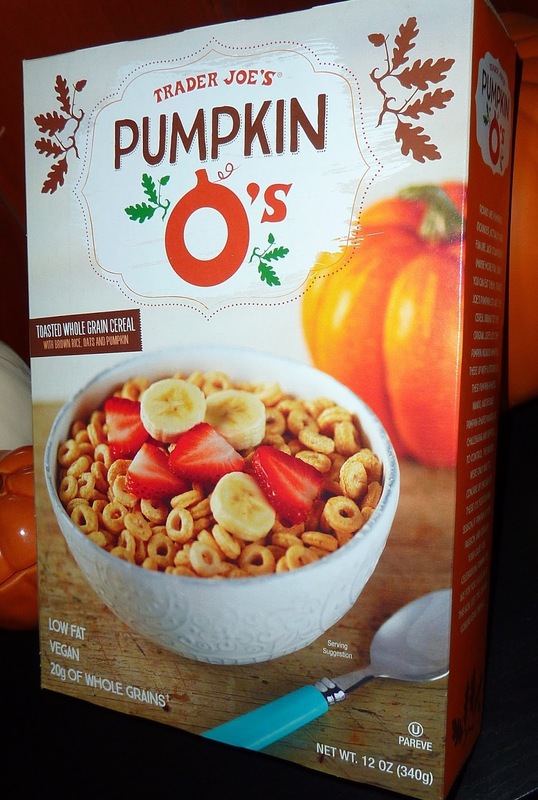 I really hate to snub yet another vegan-ish pumpkin product, because I know a good percentage of our readers are vegan or vegetarian, and a number of you have already expressed your fondness for this particular cereal. But I just couldn't get into it. It tastes really bland to me. Once again, Sonia enjoyed it—which, of course, makes me feel even more like a jerk. But in the end, I gotta stick to my guns. I bring you truth—truth about TJ's pumpkin flavored products. That's my high calling in life. And honestly, I think the odds were stacked against this product from the beginning, at least as far as I'm concerned. 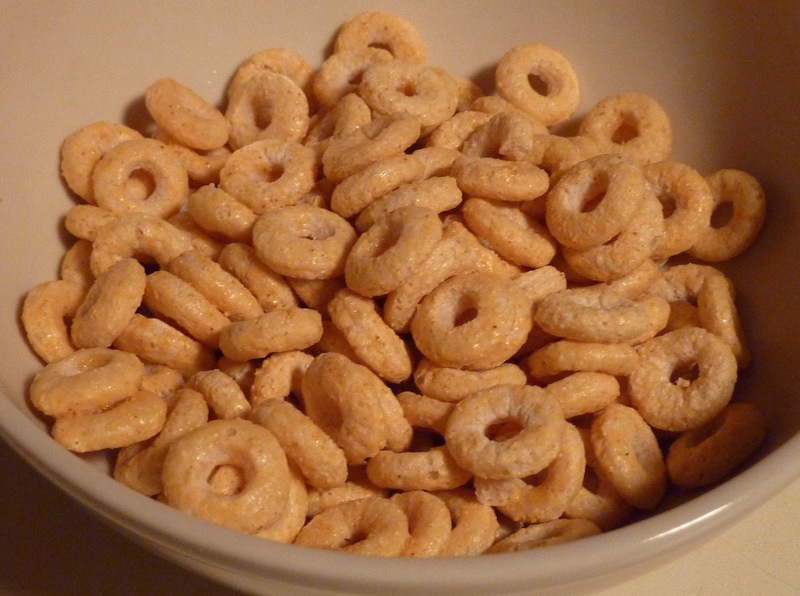 With one notable exception, TJ's O's cereals have been "fails" for the WG@TJ's team: we've taken looks at Honey Nut O's, Fruity O's, and Super Colon Blow O's. And other cold pumpkin cereals found favor with Sonia, but little more than reluctant tolerance from me. I felt like there was very little flavor at all. There wasn't even much of the grainy, oaty flavor you'd find in plain old Cheerios. These O's are apparently rice and oats-based. Could that have something to do with it? Sonia accurately pointed out that the O's taste more like pumpkin when eaten dry. I agree. It's almost as if the natural flavor of milk overshadows the tiny bit of taste in the O's. That should shed some light on just how "subtle" the flavor is here, folks. And some of you might be into that. That's good. You very well may like these. I hope you do. They really don't look any different than regular O's, either. But to me, that's a good thing. I never felt the need for my pumpkin-flavored products to be bright orange, as if to scream "You're eating something VERY pumpkinny!!!" The festive pumpkin decor on the box is plenty autumn-riffic for me, and nobody really needs a bunch of artificial colors in their system. And on another positive note, the texture of the O's is pleasantly crunchy and sog-resistant. They're nothing to complain about, unless you're a critical, grumpy pumpkin-Scrooge like I am. I'll throw out two and a half stars for these little bowl-bound breakfast bits. Sonia will pull their status up into the realm of respectability with fabulous four-star fall favor. Time for anther poll! I want to know what percentage of you like the pumpkin reviews and want us to do more! We like you to review whatever it is you want to review. We trust your seasonal judgement and look forward to an upcoming onslaught of eggnoggy reviews. We come for the TJ's products, but we stay for the ridiculousness. Have at it. LOL glad u enjoy the ridiculousness! I love most TJ foods but I am really not a fan of their version of Cheerios - I prefer the original!